Acne is a real pain, I know because I have dealt with it for over 20 years (read about my journey with acne). Like you, I am on the hunt for something natural that will help my skin look its best. Oils can be a great natural product to incorporate into your skin care routine. Various oils can help acne skin in a few different ways. Third, some oils are potent anti-inflammatories, helping to bring down the redness and swelling associated with acne. 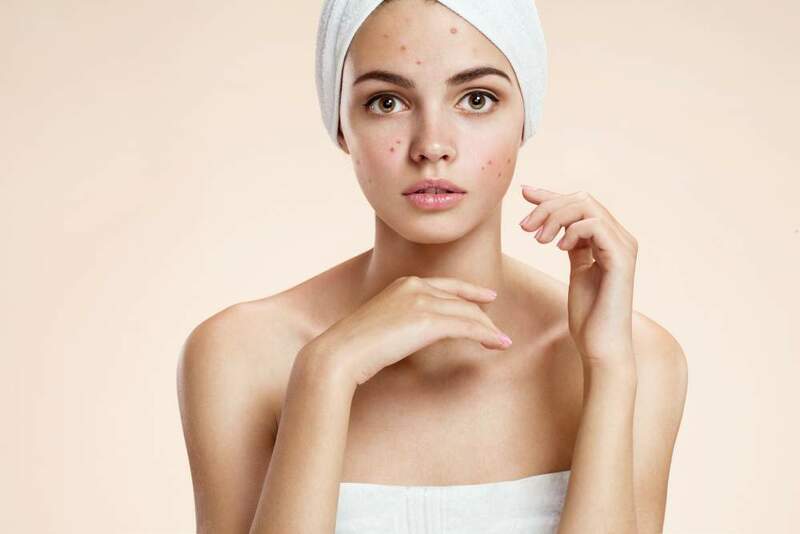 Acne forms when your pores get clogged up with sticky sebum and dead skin cells, creating the perfect environment for P. Acnes bacteria to breed. This overgrowth of bacteria leads to minor infection, irritation and inflammation, i.e, pimples. How Do Topical Oils Help? Sticky Sebum: People with acne tend to have sebum that is deficient in linoleic acid; this makes their sebum sticky and comedogenic. Topical application of oils high in linoleic acid can help reduce the stickiness of sebum and keep pores from getting congested. Inflammation: Scientific research shows that inflammatory damage to sebum is the trigger for starting the acne formation process. This triggering creates an ideal environment for P. Acnes bacteria to colonize blocked skin pores. Toxins in the walls of the bacteria cells irritate skin and increase inflammation, turning blocked pores into pimples. Anti-inflammatory oils can help reduce this process. Damaged Skin Barrier: An intact skin barrier protects us from outside invaders. When our skin barrier is damaged, we are more prone to infection and breakouts. Oils that repair the skin barrier are helpful in preventing acne. Bacteria: Some oils kill acne-causing bacteria. The best oils will target multiple strains of P. Acnes. Black cu﻿﻿min seed is one of the best oils for acne-prone skin; this is because black cumin seed oil is effective at killing not just one, but various strains of acne-causing bacteria. Many anti-bacterial oils (such as tea tree) are only useful against one type of P. Acnes, whereas black cumin seed is effective against multiple strains. Black cumin seeds contain a compound called thymoquinone (TQ). TQ is an anti-inflammatory that helps eliminate the inflammation of pimples. Black cumin seed oil is one of the few substances that works on multiple inflammatory pathways that are specifically involved in acne. The more precisely you target these inflammatory mechanisms, the better results you will have. 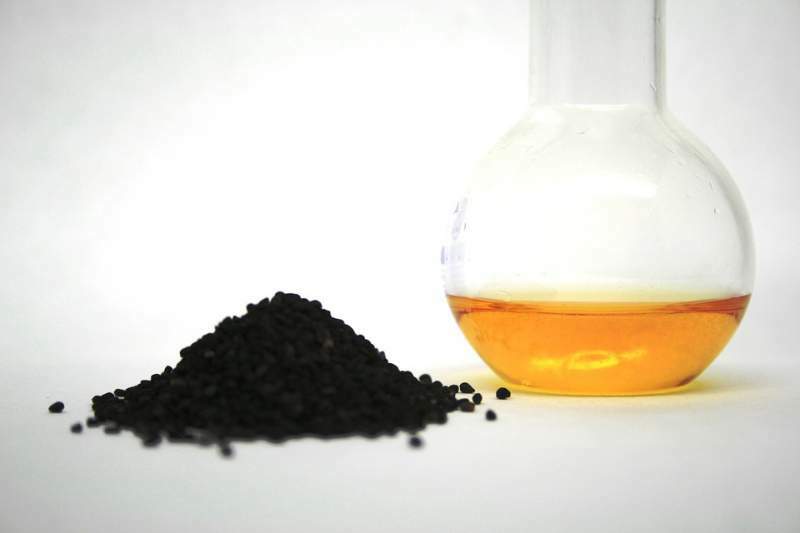 Black cumin seed oil is high in zinc, which is an essential mineral in the fight against acne. Zinc helps fight infections and speed healing. This oil is also high in other skin friendly vitamins and minerals. Since the skin is the last organ to receive nutrition from our diet, topical supplementation is necessary. Black cumin seed oil may be too strong for some peoples skin. I recommend using it mixed 50/50 with another oil. You can then use this mixture for oil cleansing or as a facial oil/moisturizer. For a mask, mix Manuka honey with black cumin seed oil. Leave on for 10-15 minutes and rinse with lukewarm water. Look for high-quality black cumin oil that is cold-pressed and packaged in dark glass. If you can find it, the supercritical extract is best, but the cold-pressed oil will work as well. 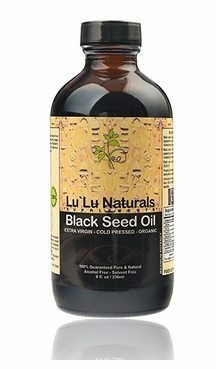 I recommend this one by Lu Lu Naturals, it is cold-pressed, non-GMO and reasonably priced. 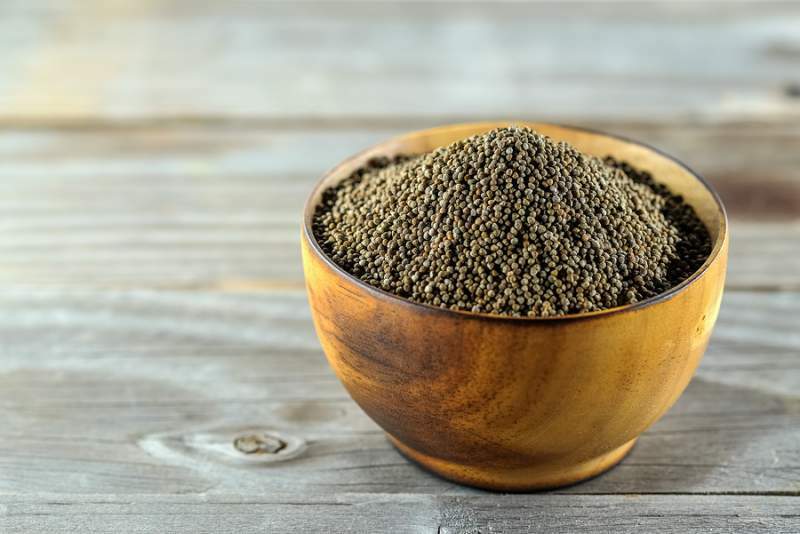 One of the highest plant-based source of Omega 3 fatty acids. This oil offers anti-inflammatory and healing properties. High in antioxidants and skin-nourishing fatty acids, sacha inchi oil softens the skin and helps it fight free radical damage. This oil protects the skin from water loss and helps rebuild the skin barrier. 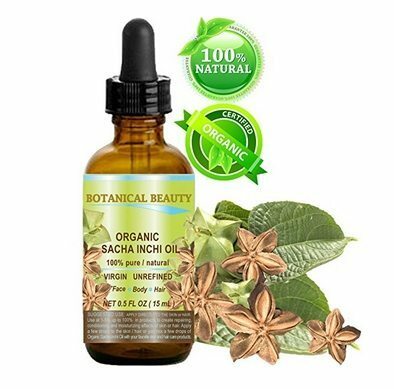 Sacha inchi is a lightweight oil that helps keep the skin healthy. This oil is great for reducing redness and irritation and for helping skin that has been picked to heal faster. Add a few drops to your lotions, creams, shampoos, body butters, etc. Use in your favorite facial oil recipe as your carrier oil. As with all oils, sacha inchi should be cold-pressed and packaged in a dark glass bottle. I recommend the Botanical Beauty brand from Amazon. Safflower oil is very high in linoleic acid. It is non-comedogenic and has a small molecular structure that allows it to get into your pores and break up congestion. It is highly moisturizing and quickly absorbed. This oil has a high vitamin E content, making it excellent at softening scars and preventing free radical damage. 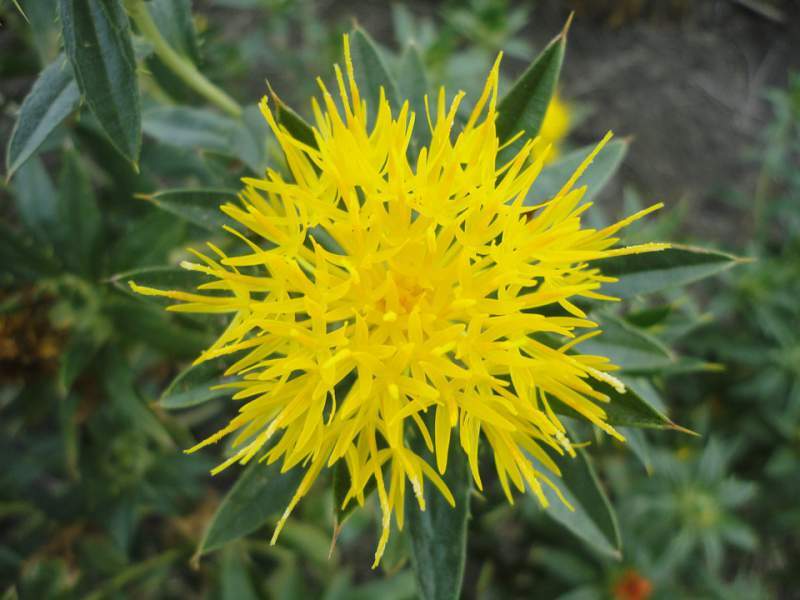 Safflower oil is a natural anti-inflammatory that helps protect the skin barrier. I especially like safflower oil for oil cleansing, as it gets deep into the pores to help clear them out. Mix equal parts safflower oil and pumpkin seed oil. Massage onto a makeup free face for 2 minutes, then rinse off. Make sure you purchase a high linoleic acid safflower oil. Food producers have modified this oil to be higher in oleic acid (goes rancid less quickly). Be diligent in making sure the safflower oil you are using has not been modified and retains its high linoleic acid content. 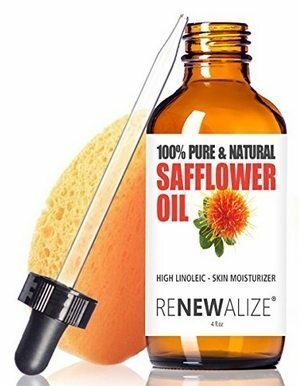 I recommend the safflower oil from Renewalize. They offer a high linoleic safflower oil in a dark glass dropper bottle. Like black cumin seed, this oil is high in zinc. 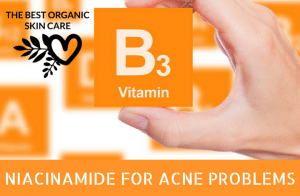 Zinc is an essential element in the fight against acne. 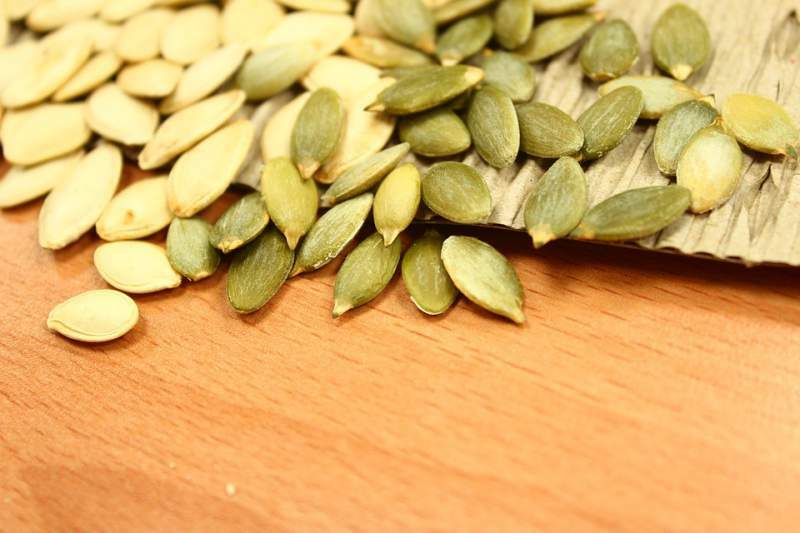 Pumpkin seed oil is also high in selenium. This oil hydrates and renews the skin. It increases skin firmness and fights acne-causing bacteria. 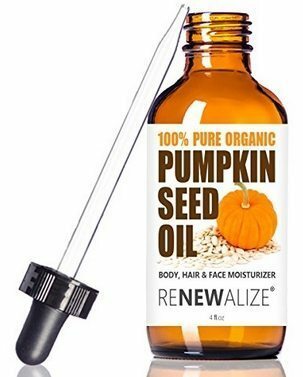 Pumpkin seed oil is naturally high in vitamin E, meaning it can help reduce scarring and improve skin tone. Research has shown that pumpkin seed oil offers excellent anti-inflammatory activity by decreasing the expression of inflammatory signaling proteins; this, in turn, inhibits the enzyme known as 5-alpha reductase. 5-alpha reductase produces the acne-aggravating androgen, DHT, from more mild testosterone. If we can reduce this enzyme activity in our skin, we can reduce hormonal flair-ups. Apply on its own as a facial moisturizer. Make your own pumpkin seed oil serum by using equal parts pumpkin seed oil and guava seed oil. I recommend buying your pumpkin seed oil from Amazon, for ease of purchase and free shipping. If you want to purchase bulk amounts for making your own skin care, I recommend getting it from, From Nature With Love. 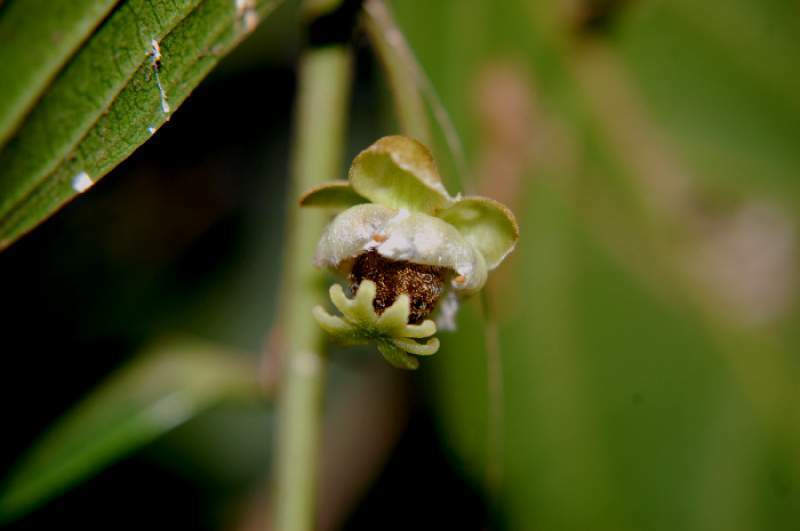 Chaulmoogra seed has been a part of Traditional Chinese Medicine and Ayurveda for thousands of years. Its historical use was for the treatment of leprosy and other chronic skin conditions. Chaulmoogra is highly anti-microbial. It contains a weak acid called 5′-methoxyhydnocarpin that effectively kills bacteria without creating resistance. This oil can accelerate healing, enhance the growth of new skin, kill bacteria, and reduce pain. For DIY recipes, add 8 – 10 drops per 4 oz mix. Mix 3-5 drops in 3 tablespoons carrier oil. 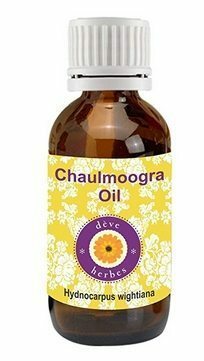 Chaulmoogra oil is very strong and should not be used alone. There are not many options on where to buy this oil, but I did manage to find it on Amazon. An excellent oil for sensitive skin, perilla seed oil contains a compound which acts as a precursor for ceramides (they play a role in maintaining the skin barrier and preventing water loss). Perilla oil is high in omega 3 fatty acids, it soothes, repairs, and protects the skin. It is a light and dry oil that absorbs quickly. Perilla oil is an antiseptic and cleansing oil that helps ease congestion in the skin. It is rich in flavones and antioxidants, helping to prevent free-radical damage and premature aging. Polyphenols (mainly rosmarinic acid) and triterpenoids (especially ursolic acid) give this oil anti-inflammatory, anti-bacterial, antioxidant, and antiallergic qualities. Use in your massage blends. Use as a facial oil or add to your pre-made skin care products. Use as a bath or shower oil. Because it is a cleansing oil, it works really well for the Oil Cleansing Method. 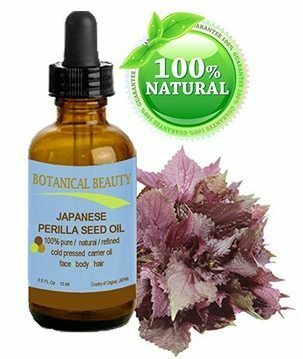 You can buy high-quality perilla seed oil on Amazon. I recommend the brand: Botanical Beauty. If you are looking for wholesale or bulk prices, check out: From Nature With Love. Guava seed oil is rich in vitamins A and C, which help prevent premature aging and wrinkles, by maintaining skin elasticity and fighting free radicals. This oil has astringent properties, meaning it will shrink skin tissues, reducing pore size, and tightening loose skin. It is and excellent emollient that helps minimize the appearance of scars and keep the skin soft and supple. Guava seed oil contains a significant amount of sulfur and potassium. Sulfur plays an essential role in the synthesis of collagen, while potassium is an important component in the regulation of body water content. Use as a base or carrier oil. Add a few drops to your favorite skin care products. Apply on its own as a facial oil, or mix with another acne-friendly oil. 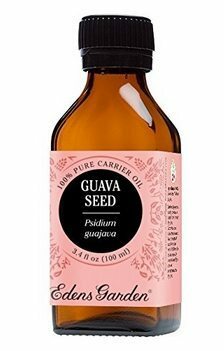 Guava seed oil is a bit tricky to find. Look for a cold-pressed oil housed in a dark glass bottle. 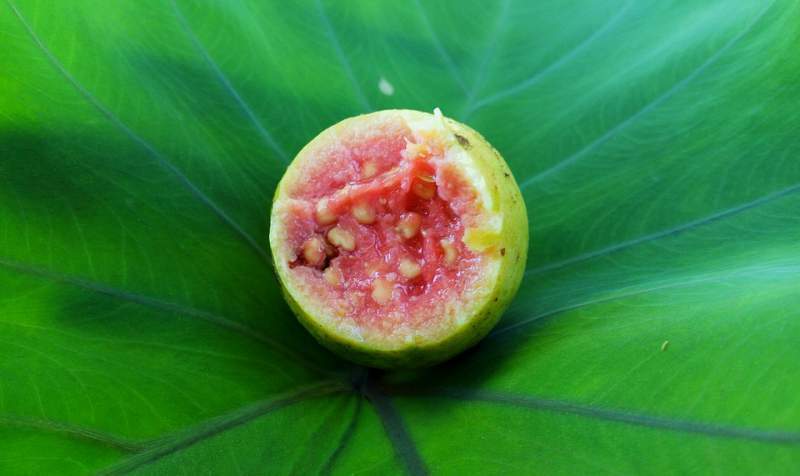 Eden's Garden makes a high quality guava seed oil. 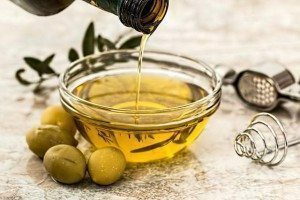 This oil is a bit on the heavier side, as it contains more oleic acid than linoleic acid. 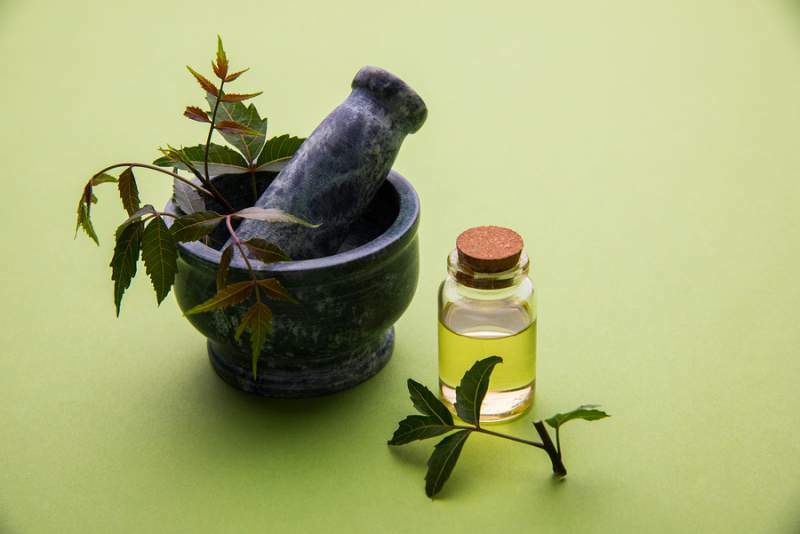 Neem oil is good for acne because it contains an aspirin-like compound that rids the skin of acne-causing bacteria, while soothing redness and inflammation. Neem seed oil is effective against multiple strains of acne-causing bacteria. Neem seed oil reduces pimples by drawing out toxins. It also softens the skin, making it easy to wash away dead skin cells. 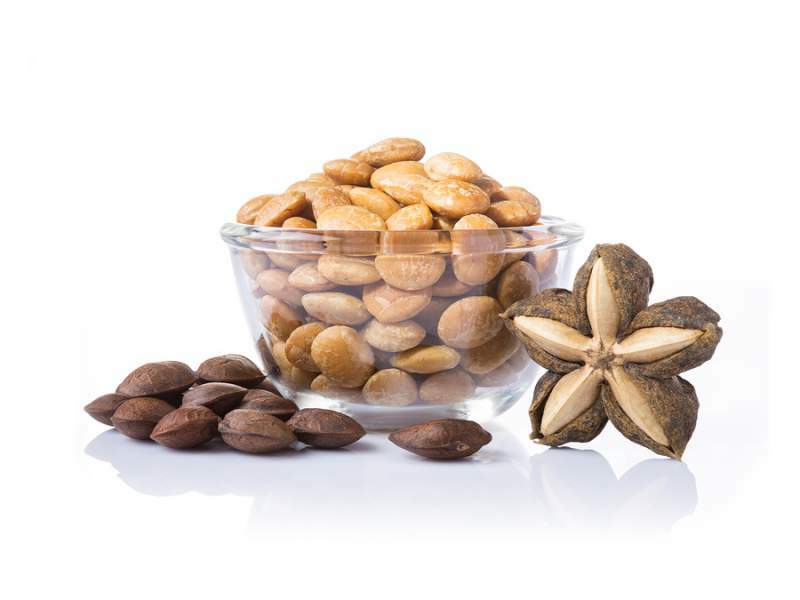 ​Quercetin is an anti-inflammatory compound in neem seed oil that inhibits the manufacture and release of histamine and other irritants, supporting the body's ability to deal with inflammation. This action helps relieve swelling and redness. Because it can be quite heavy, I like to dilute neem oil with a high-linoleic oil. Mix a few drops of neem oil with a few drops of high-linoleic acid oil. Apply to blemishes with a cotton ball. Leave on overnight and rinse in the morning. Neem oil is available online and probably at your local health food store. 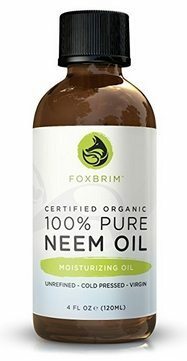 I like Foxbrim's organic neem oil because they offer a money-back guarantee. Myrtle﻿ is the number one essential oil for the fight against acne. It is antiallergenic, astringent, and highly antiseptic; it balances hormones in the skin and regulates sebum production. 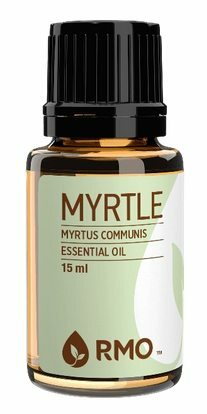 Myrtle is very effective against bad cases of acne, especially painful boils or whiteheads. Myrtle can penetrate deep into the skin and help remove dirt and dead skin cells, without harming our natural protective skin barrier. It is a gentle, but strong disinfectant that kills acne-causing bacteria. It can soothe inflammations, helping to ease pain and pulsating. Myrtle EO is gentle enough to be used neat. However, I wouldn't recommend it. The overuse of essential oils can damage the skin barrier. I recommend using a 2-5% dilution in a carrier oil. Facial oil blend: Mix 10 ml (2 tsp) carrier oil and 7 drops myrtle. Apply day and night to freshly washed skin. Oil Cleanser: Mix 2 tbsp aloe gel, 1 tbsp carrier oil, 2 drops myrtle. Apply a small amount to a moist face and massage gently into the skin. Rinse off with lukwarm water and pat dry. I personally buy my oils at Rocky Mountain Oils (they are our favorite essential oil company). If you purchase your essential oils on Amazon, I recommend the brand Eden's Garden﻿﻿. 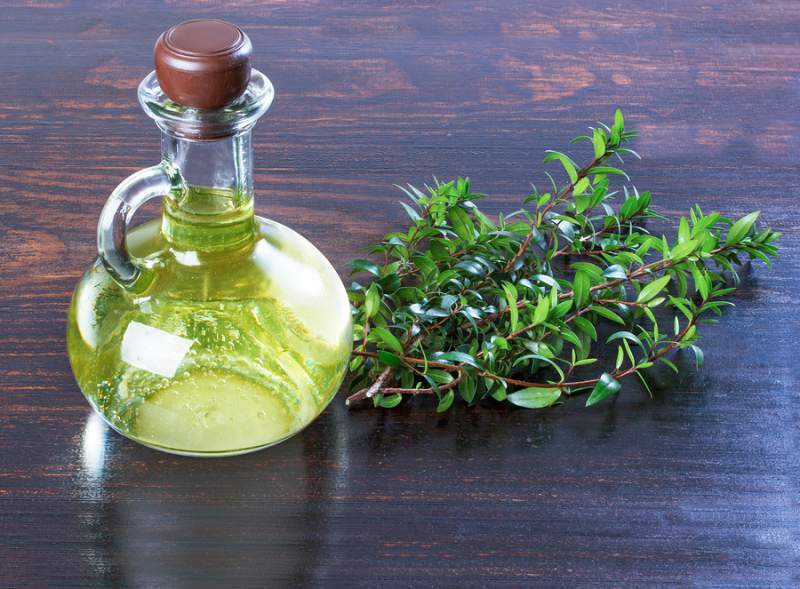 Rosemary essential oil can counter bacterially aggravated inflammation (one cause of acne). Rosemary's anti-inflammatory properties ease puffiness and redness, while its astringent properties help shrink pores and tighten skin. 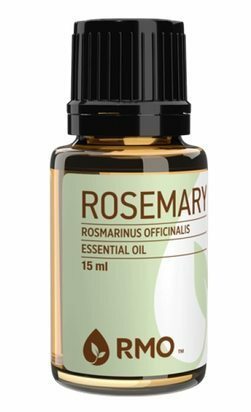 Rosemary efficiently detoxes the skin by improving blood circulation and lymph movement. 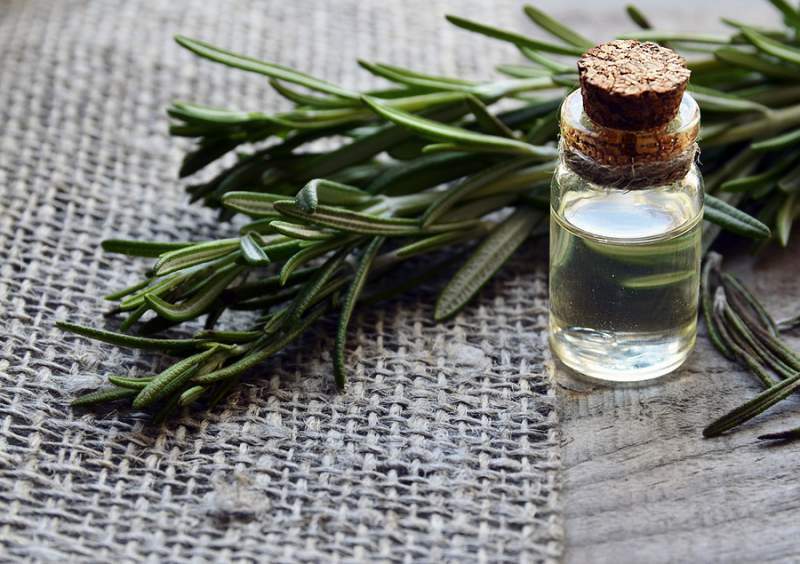 Dilute 3-4 drops of rosemary essential oil into a teaspoon of carrier oil. Use as a facial oil day and night. I personally buy my oils at Rocky Mountain Oils (they are our favorite essential oil company). If you purchase your essential oils on Amazon, I recommend the brand ﻿Eden's Garden﻿. I am so excited to start using some of the oils above! Researching for this article was so interesting for me, and I hope the results are interesting for you. Oils can help acne, as long as the right oils are used. When you are treating acne, it is important to stay consistent. Pick a routine and stick to it for at least 2 weeks before deciding whether it is working for you (unless of course you have obvious irritation). Also, make sure you avoid pore-clogging ingredients in your other cosmetics. Which one is the most effective and is your favorite, if I may ask? Hello Dawn, you may certainly ask 🙂 These are all great oils, and everyone’s skin is different, so what works for me may not be right for you. At this point I am enjoying black cumin seed oil. I love the fact that it is effective against multiple types of acne causing bacteria. If I had to pick one to try, that would be it. I have severe adult acne. This can really help me out. Thanks. I hope it does Samantha! The reason that many essential oils are great for treating acne is that they contain antibacterial and anti-inflammatory properties. 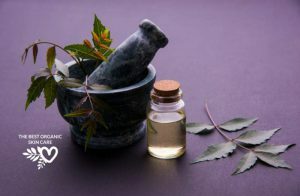 For example, research into essential oils like tea tree oil, rosemary oil, lavender oil, and lemon oil have shown that they possess antimicrobial activity and are effective against acne-causing bacteria. 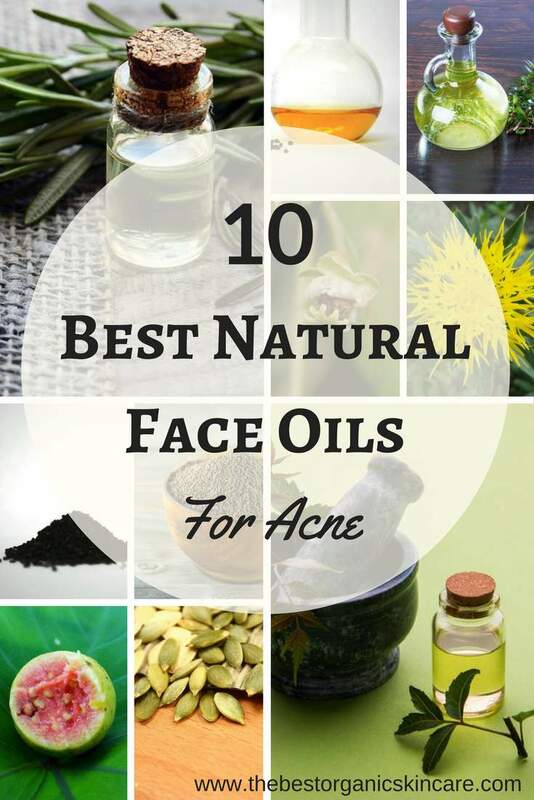 Some of these essential oils also help to relieve stress, which can sometimes aggravate or exacerbate acne. Hi Ali, out of the oils I talk about above, Safflower and Neem oil are the cheapest. If you click the links above you will be taken to the products I recommend on Amazon. Hi Andrea, What oil would you suggest for clearing up congested, clogged pores, whiteheads ect, for oily skin. I’ve just started frankincense with heep oil or Jocoba at night and it seems to be of same help so far but would like to know same other non clogging recommendations best for this condition to help it clear out/up, what’s the best in your opinion? Hi Annabel, there are a few ways to deal with clogged pores. Clay masks are something you can preform every few days. Another way is to use an enzyme exfoliate at night. Pumpkin enzymes are a great ingredient to look for. Washing your face with safflower seed oil works well, I really like Moss’ Revele Oil Cleanser. I have also been making my own oil cleanser by using jojoba oil and a little liquid face soap to remove makeup and wash my face. Another option is to use a chemical exfoliate, such as glycolic acid or benzoyl peroxide, but if you are looking to stay totally natural, these may not be for you. How can I use some of these oils to make a wash, toner and moisturizer ? My issues is how do I know how much of each to use? Hi Dionne, If you want to make a wash for your skin, I would use plain oil and rub it on my face for a bit to get all the oil, dirt, and makeup off, I would then follow with my regular foaming face wash to remove the oil. For a toner, you could add a little bit of oil to your toner or make your own toner with half water, half apple cider vinegar and a few drops of oil. For a moisturizer I recommend taking a few drops of oil into the palm of your hand and mixing it with a few drops of aloe vera gel, this makes an easy moisturizer that provides both lipid and hydric moisture. You can also learn about incorporating these oils into your skin care in our “Treat Acne with Oil” ebook.